15 of the 20 top high frequency trading firms are active in Russia - and you? The Russian market is really open and highly technologically advanced, even compared to some of the developed markets, and certainly much more open than other emerging markets like India, China or even Brazil. Particularly for algorithmic funds, Russia is an easy environment to come in and test the market, and that is why the competition is quite high at the moment. The growth, volumes, and market share of HFT algorithmic businesses in the Russian market is constantly growing. Out of the top 20 HFT global firms, around 15 are already in Russia and actively trading. The market is now very dense, especially in the FX market, which has been a theme here over the past year. On the other side, it is no secret that banking in Russia is in poor shape. Credit risk and operational risks are concerns. Most of the capital is fictitious and nobody really knows what the situation is, even for the bigger banks like Sberbank or VTB, but at least, with those type of institutions, you know that at the end of the day they will be bailed out. From a fundamental equities perspective, some of the large international managers migrated from Russian local stocks into ETFs not only because liquidity decreased in the key names that they liked, but also because bellwether stocks such as Sberbank or Magnit became less favored on fundamental reasons. This again makes the Russian market one of the least efficient globally, offering plenty of opportunities for fund managers doing their own proprietary research. So, for alpha-driven funds, the situation is not so bad, because of the high volatility, and the liquidity is still sufficient. Fore example, the Flag Quantitative Strategies Fund hasn’t had a single down month since inception and is up around 35%, while the RTS is down by approximately the same amount. Altera Capital has also been doing very well, nearly tripling the AUM of their hedge fund as result of outperformance. Of course, uncertainty around liquidity remains, and it could also be worse next year. Still, Stephen Lewis, an executive of fund administrator Maples Fund Services who covers Russia, says that he has seen “more potential new launches on the hedge fund side in Moscow than I have seen in London over the last two years.” This Roundtable discusses in depth these interesting dynamics in Russia, and the prospects of managers to succeed. What’s behind the current wave of new fund launches in Moscow? Where do these start-ups get their initial capital? Is due diligence on a Russian fund different? When should you not use a managed account in Russia, but preferably have a fund structure? Can algorithmic trading be really independent or detached from the market? Why volatility per se doesn’t solve anything in the long run, even if it is high. Risk management: How to survive when your brokers increase margin requirements eight times overnight. Why pure mathematics is not the ultimate risk management. 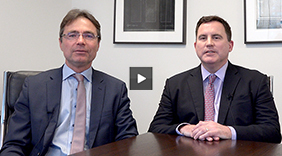 Why are private banks and European investors interested in emerging market fixed income funds? Are the Russian markets getting more or less fragmented?